Card holders should take note over a recent court ruling where a couple lost their case regarding a withdrawal of Rs 25,000 that the ATM never released because SBI argued that sharing the PIN details amounts to a “violation” of rules. “A ‘must-read’ for every husband and wife who have an SBI debit card,” said a news report in the August issue of Keemat magazine published by the Consumer Guidance Society of India (the country’’s oldest consumer protection group), alerting readers to an important court ruling. Despite the news value of the judgment to 846. 7 million debit card holders in the country (up from 818 million just a year ago, according to Reserve Bank figures) most mainstream papers ignored this major court order that every card owning couple should be well aware of. The order related to a complaint filed by Rajesh Kumar from Bengaluru whose wife Vandana had asked him to withdraw Rs 25,000 from State Bank of India SBI using her debit card as she had just had a baby and could not move about. She gave her husband her PIN and when he used the ATM machine, he got a slip showing that the amount had been “debited” but the ATM itself released no cash. Kumar promptly called the bank and was told that the machine was “at fault” and that the amount would be reverted to Vandana’s account “within 24 hours” . When the money did no appear in the account for several days, and his subsequent visit to the SBI branch too brought no redress, Kumar filed a complaint under the Consumer Protection Act. What followed was a sordid saga that ended in May 2018, four and a half years after the failed transaction at the ATM, with a court order dismissing the couple’s claim despite CCTV proof that no money was delivered from the machine. SBI argued in court that since Vandana did not operate the card herself, and had “shared her PIN details” with her husband, the bank was not liable to compensate them for the loss of Rs 25,000. SBI cited its rule that forbids sharing of PIN details. The consumer court accepted this argument. If the wife is unable to go out herself for health reasons, she “trusts” her husband to help her and gives him her PIN details. Besides, Kumar was able to obtain the CCTV footage at the ATM which showed that no money came out of the machine. Vandana also managed to get a cash verification report for that ATM which showed there was “excess cash of Rs 25,000” in the machine on that date. Despite their submitting these proofs to the court, the couple lost their case because SBI argued that sharing the PIN details amounts to a “violation” of rules. SBI also managed to submit log records to prove that the transaction was “successful”. Why was there no investigation into the two contradictory “proofs”, one from the ATM showing that no cash was paid to Kumar, and another from SBI saying “transaction was successful”? Why did SBI first concede that the ATM was faulty, and offer to credit Vandana’s account “within 24 hours”, only to change their stance subsequently in court? The complaint pertained to an incident in November 2013; the final court ruling was given in May 2018. The aggrieved couple had spent four and a half years, running around, spending time, energy and money, in procuring various proofs in support of their complaint. The Consumer Protection Act, 1986, decrees that complaints should be resolved “within 90 days” but in the three decades since the Act was passed, the functioning of the three-tier courts – at the district, state and national levels – has degenerated steadily, and cases filed seven-eight years ago, are still dragging on, with repeated adjournments, turning the original rationale of offering a “simple, speedy and inexpensive” resolution of complaints for the common man who cannot be expected to file a civil case in a conventional court to seek redress for a sub-standard appliance, deficiency of service, or a builder who defaults on promises. The procedure is today neither simple, nor speedy, or inexpensive (photocopying of four-five sets of all supporting documents, for submission to the court, can mean a substantial expense, plus there is a charge for filing a complaint that did not exist in the original Act.) Complainants could argue their own cases without lawyers, as per the original Act, but today lawyers take up most of the seats during hearings, even at the district fora. PSUs and corporations have lawyers on their rolls, who ensure that some obscure legal loophole is unearthed, to prolong a case, and obstruct justice, as in the case of the Kumars. The court said in its judgment that Vandana should have given a self-cheque to her husband for withdrawing money, instead of using the debit card. Card holders should take note and ponder over this argument. 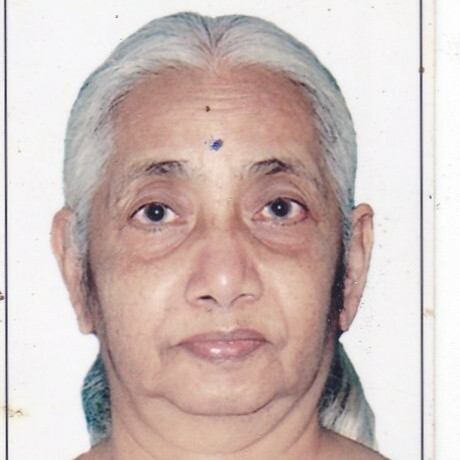 Sakuntala Narasimhan is a national award winning consumer activist.